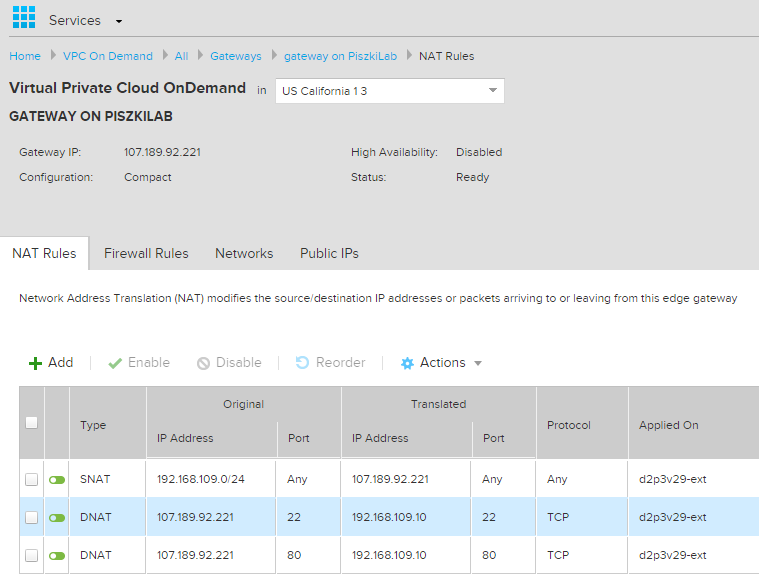 VMware vCloud Air is a relatively new initiative, a VMware solution serving the Public Cloud services. This is to be the answer to Microsoft’s Azure and Amazon Web Services (and others). Of course, is profiled to the current VMware vSphere users by offering them a Disaster Recovery service (and others) on the basis of Hybrid Cloud. You can also, using Cloud services on demand (OnDemand/PayAsYouGo) perform test or dev tasks on dynamic environments (where we pay only for the used resources). And thanks to the ongoing promotion, which consists in the fact that VMware gives us a promo code worth $ 300 and validity of three months, We can see how it all works! 1. 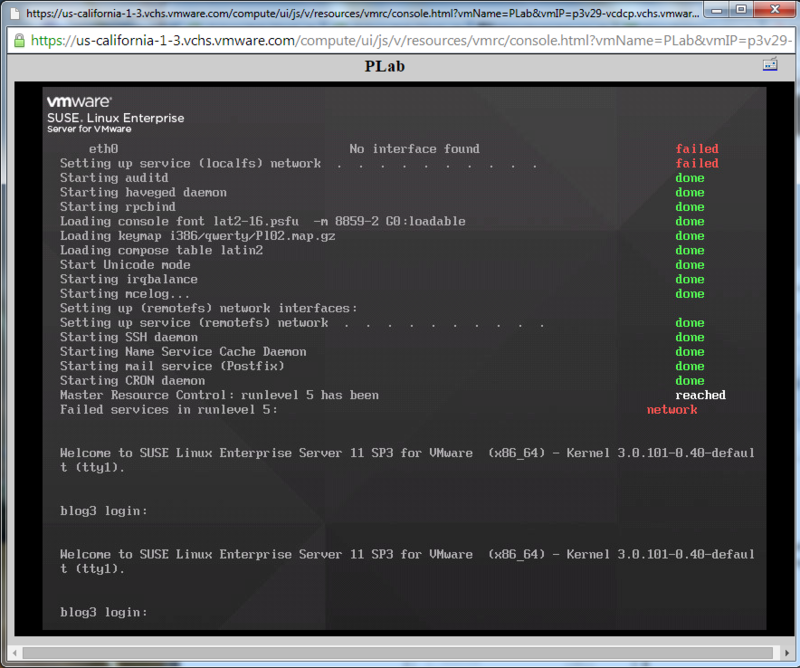 Have My VMware account. 2. 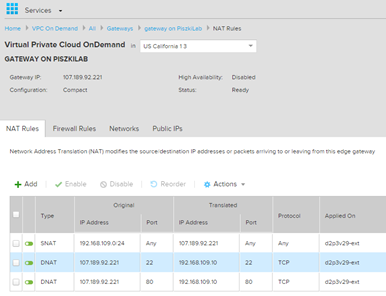 Sign in to Virtual Private Cloud OnDemand service. Then we have to wait a few minutes. At this time it is left for us all the infrastructure, which is our first virtual Data Center (vDC) and virtual router (Edge Gateway). When the process is complete, you’re ready to create our first machine. 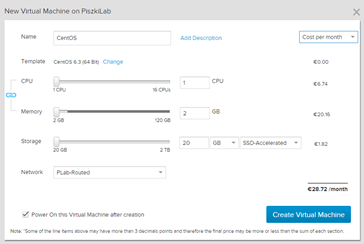 At the moment, we can use a standard developed by VMware machines available in the global catalog (Windows have ben more paid for licensing reasons). You can send our own machine to a local directory available in our vDC. However, this is complicated and will do this in the next blog post. Machine parameters we set quite arbitrarily, but look how much it will cost us (the limit of $ 300 is not that great). As you can see the whole process is very simple to this point. 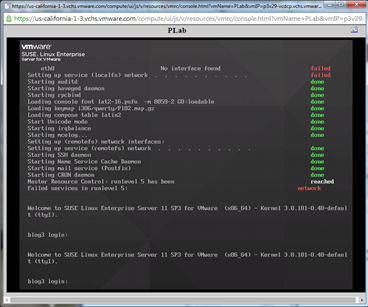 Launched and pre-configured the our Linux can be managed from the console (this will require the installation of VMware Remote Console Plug in your browser). Is obviously a lot more convenient access via SSH. Here we need to move to the Gateways and configure our router (EDGE Gateway). It just so happens that in our vDC We are Lord and Ruler, but it also means that we have to configure everything themselves. 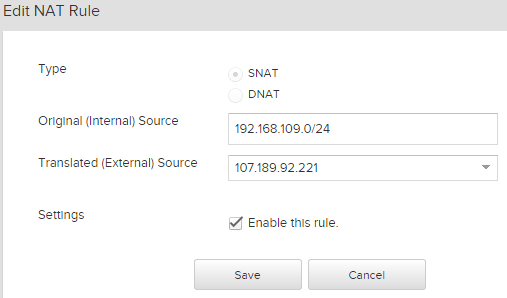 Starting on creating and configuring servers, and ending with the thought how to configure the network (but it is very simple and fun). As you can see, it is very easy to read. 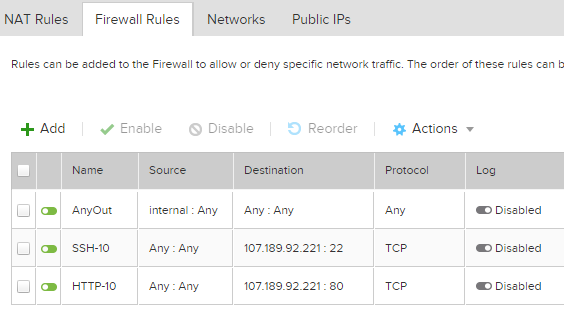 Edge Gateway is not only a router but also a firewall. In addition to the rules of translation, we also need to create a rule on the firewall. By default, we get the internal address range and one public address (you can later request additional but this is of course paid). Addressing our network we can change (or add a new one) in the Networks tab. Here we are dealing with a completely different interface. 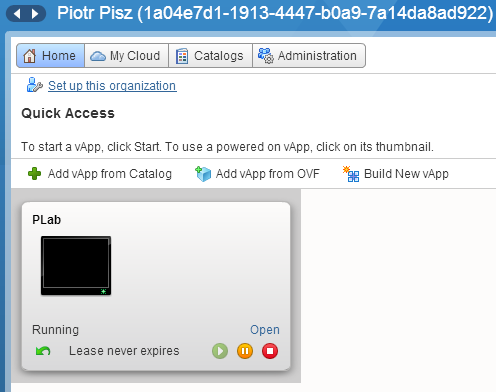 vCloud Director has a very clear logic of the scheme which is based on Organiztion-> vCD-> vApp-> VM. In one of the first steps in this post was waiting, at that time was created for us the first organization (name of the organization is the long number) and vDC. 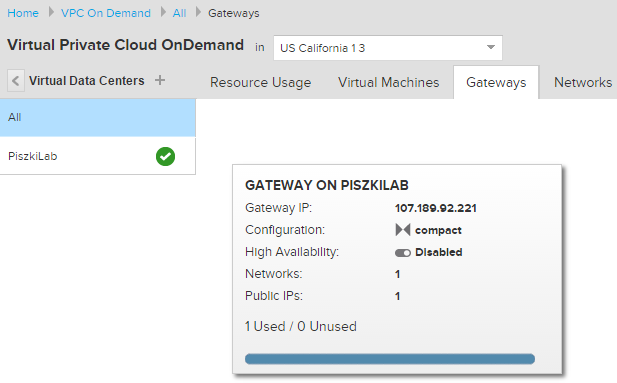 When using vCloud Director in a local environment organization name can be any (in the case of Air vCloud just numbers). Let’s go back to our problem (I wrote the rules and access to the machine does not have) and disable firewall (for testing purposes). 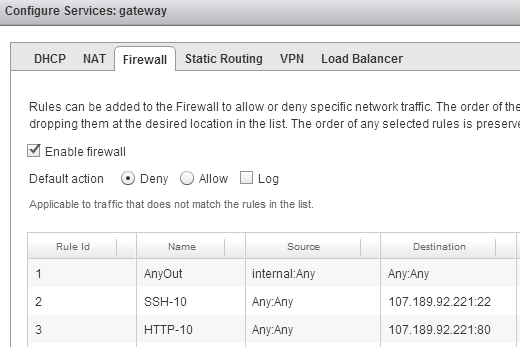 We are entering a OrgSettings, click on our vDC and go to the Edge Gateways tab. 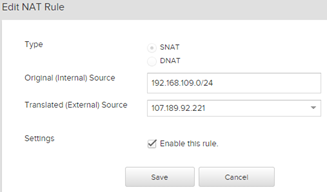 The right mouse button on gateway and choose Edge Gateway Services, on Firewall tab you can add a rule or completely disable the firewall. 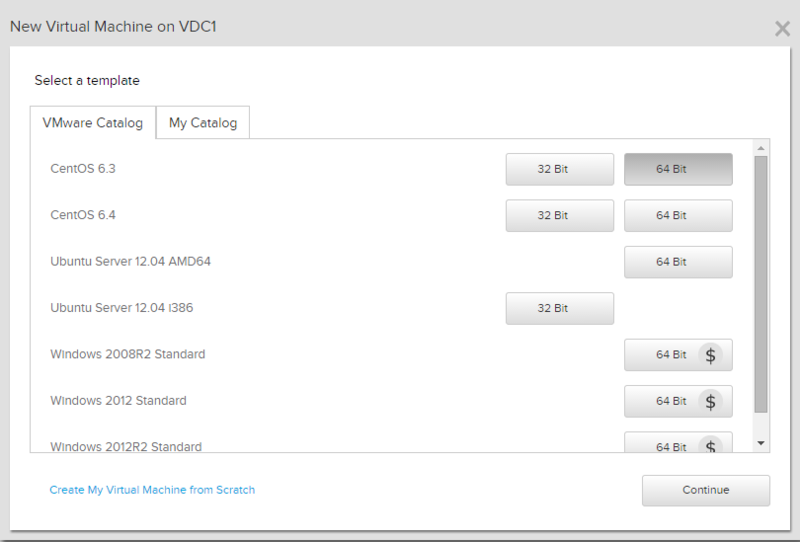 I encourage you to get and know vCloud Director, in our cloud, all can be managed from its level. 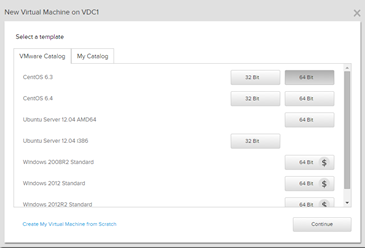 vCloud Air Interface is only an addition. In the next post I will describe how to combine our local vSphere environment with vCloud Air (We make our first Hybrid Cloud). Thanks. 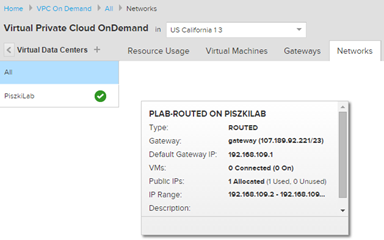 I’m going to start with vCloud Air On Demand. I’ll try with your guide. 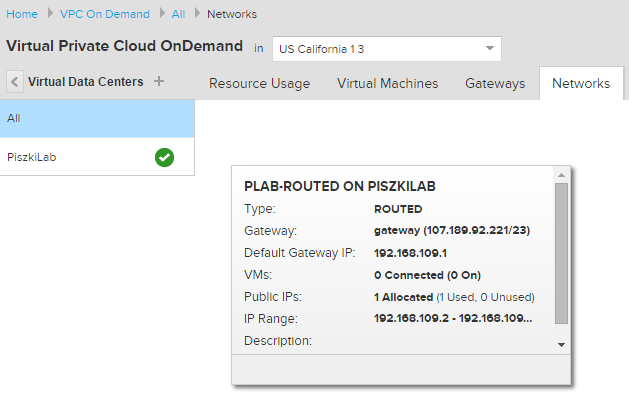 I’m in the process of writing the next part, will be about vCloud Connector.